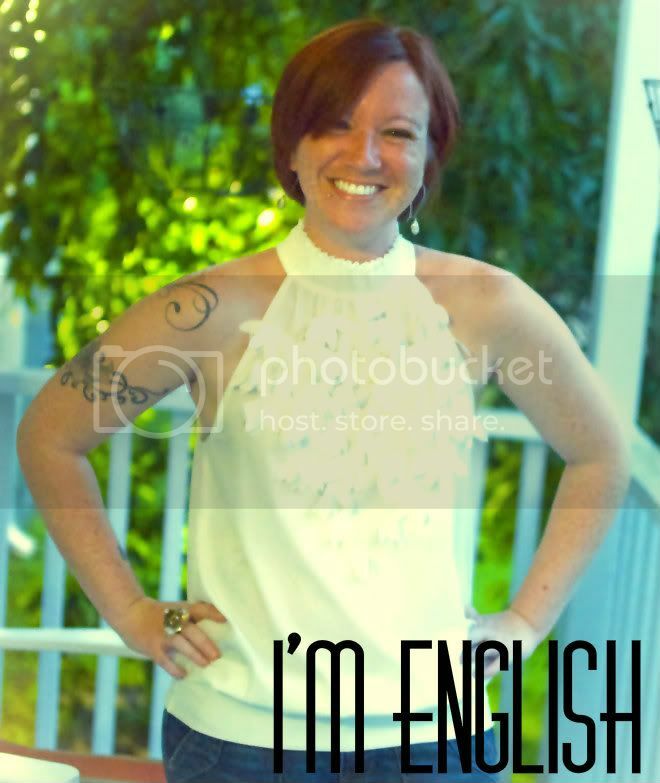 Be Freckled: Blog Star: Hi, I'm English! ^And that is the serious truth. English. English Brownderson. Okay, that last name isn't real, but it's what el hubbo and I have called ourselves since the wedding day, and it fits perfectly. The English part is legit. I found the Mrs. Monologues blog hop party through one of my favorite blogs, LWLH. And now that I've been introduced to Mrs. Monologues, I have yet another wonderful site to add to my daily reads. Shweet. A tad about myself: I am a Minnesota housewife to my military husband. We are currently stationed in Germany, and I honestly don't know if we'll ever go back to the States, at least on a permanent basis. I/we absolutely adore it over here. This is us, February 2012. 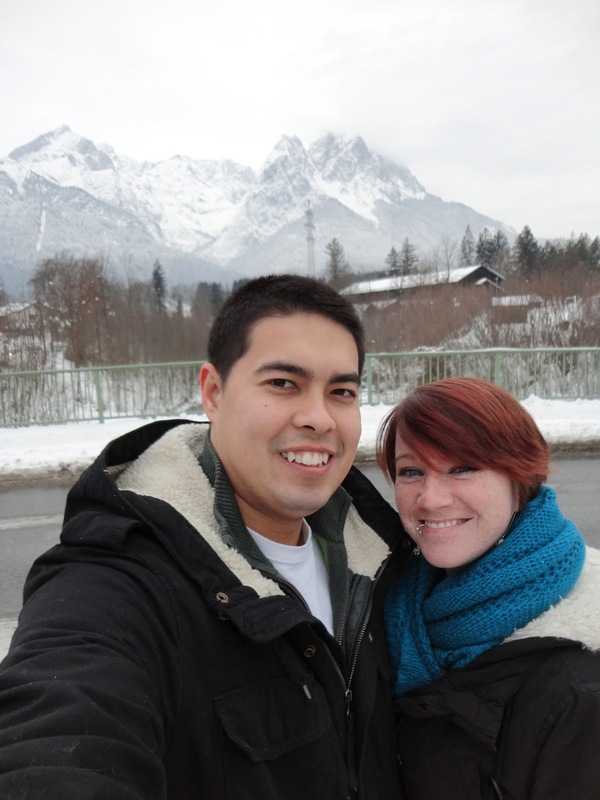 Even better, this is us in Garmisch, Germany. I like to talk about my dogs a lot. Sass [left] and Ninja [right] are the best cuddlers EVER. We enjoy traveling a lot, and I try to document everything I can. This pic is from a recent trip to Venice, Italy. I got very fat there. The food is delicious. The stairs became my enemy. I love reading. I usually dedicate Sundays to a book review of my latest novel obsession. ooh Minnesota. I'm from there. I'm just stopping by to say hello From The Blog Star Blog Hop! Stopping by from Blogstar. I love your hair color. It is amazing. 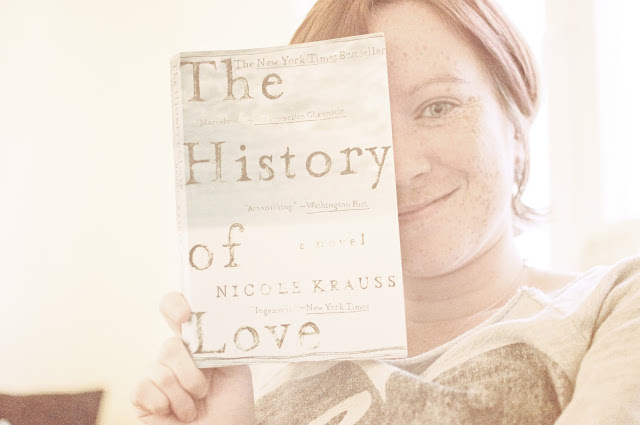 I also love that you do book reviews...I am forever in the middle of several novels. Will be following! Thank you for linking up, can't wait to read more of your posts. Your fur babies are adorable, and that is so awesome that you live in Germany. Tell your husband thank you for his service. Oh my, your dogs are precious. 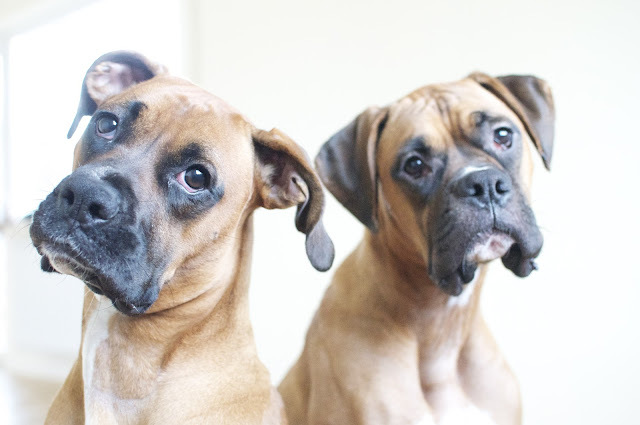 I LOVE boxers! Blargh I can't decide if I'm more jealous of your freckles, or of Germany. Maybe both. I want to go to Venice. Awww, how cute are your dogs!? That photo is adorable. Alao, it would be super awesome if that really was your surname, haha! I'm your newest follower via Blog Star Link-up! So excited you linked up again pretty lady! 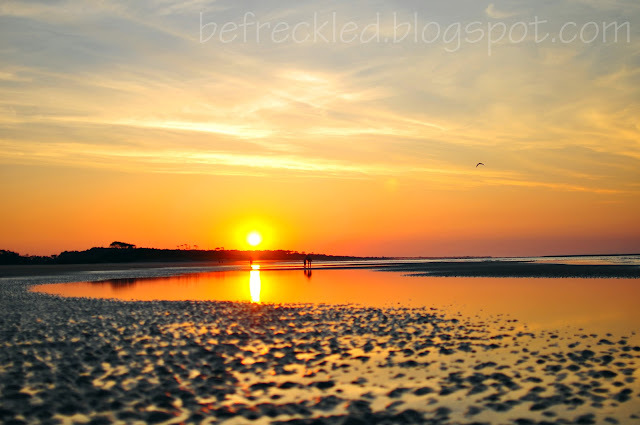 Stopping in from Blog Star Link up! Super cute blog! Love the pictures! Both my husband and father have been to Germany & loved it! I hope to get there one day! I'm happy to meet you though the link up! It's nice to know there are others in the blogging world who don't craft or cook… yet I still try and share the few things I do with the kids. I love to travel and photography too. I've always wanted to visit Germany. My mom spent some time in Munich and loved it! The photo you posted from your trip to Venice is gorgeous! As an avid reader myself, I am looking forward to reading about your newest reading obsessions--I'm always in the search of a new book or two to check out. You are so talented your photos are amazing! Would love for you to check out my own Blog Stars post if you have the time. I have fur-babies that are cuddlers too. Yours are too sweet. My husband was born in Nuremburg, Germany on an Army base. We are hoping to go back and visit the friends his parents made there who are like family to them. Good luck with everything. Hello fellow Blog Star, we actually have a bit in common. I don't do crafts either, I just getting into photography also and I'm pretty much covered in freckles also. lol Love what I've read so far. You're adorable! Keep up the great work. Awesome you guys love it there!! You look like a fun couple! Found you thru the Blog Hop! Looking forward to following your adventures! Haha most of the time all I can talk about is my dogs too! I have a boxer also.. They are so much fun!